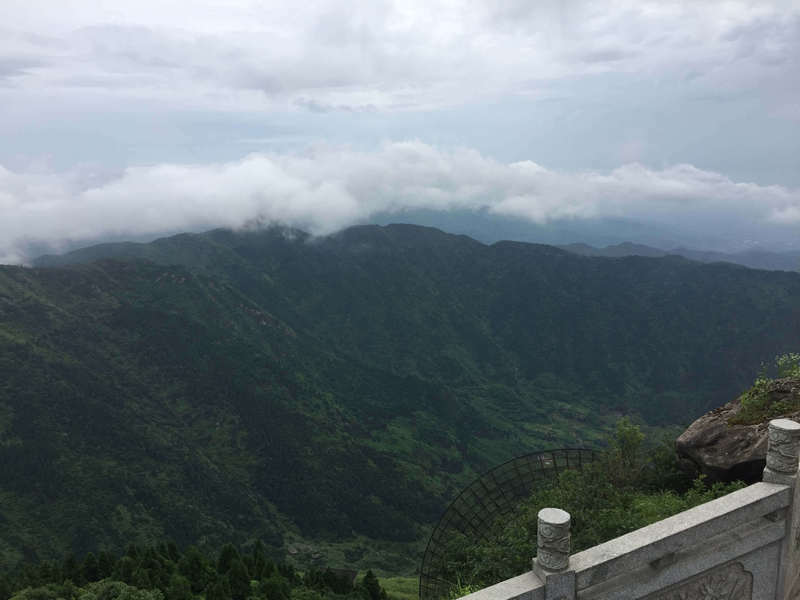 Heng Mountain is a famous mountain in Hunan, located in Hengshan City of Hunan Province (Southern China). 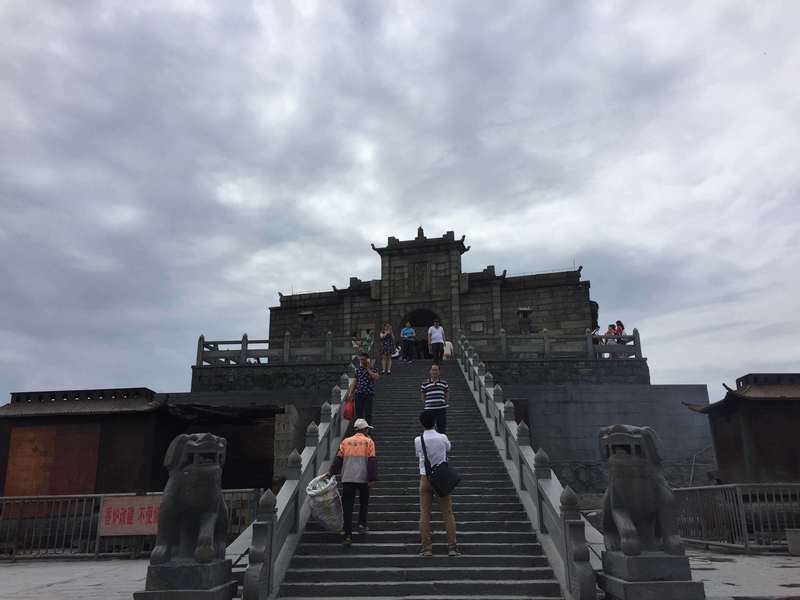 It is very popular at least in Hunan area. 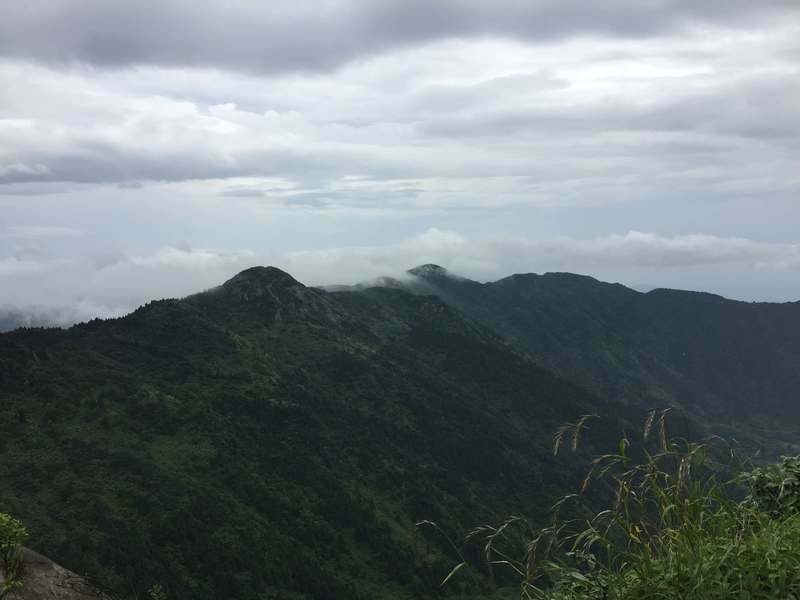 It is said that making a wish at Heng Mountain will easily come true, and I did heard about similar stories like that in the past. Thanks for the holy belief of this sorts of religion people, Heng Mountain is indeed a unique place for Buddhism and Taoism co-existing. 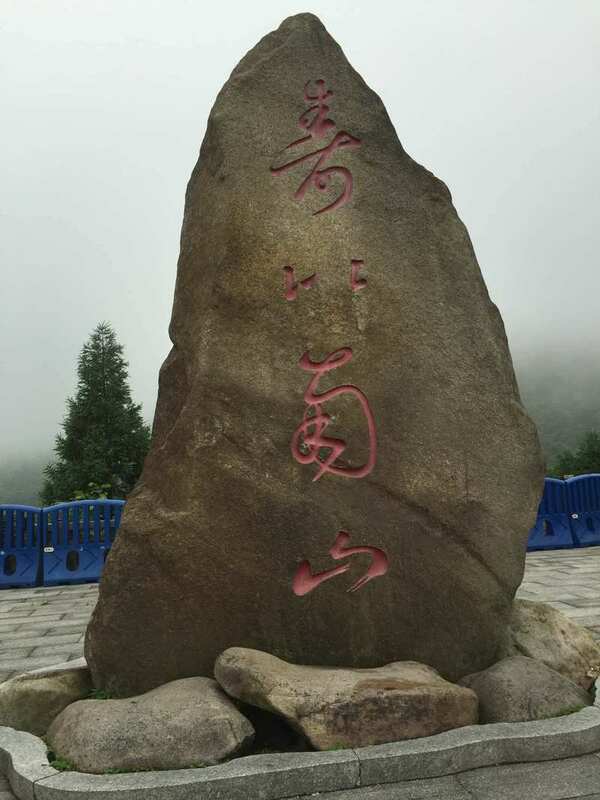 When it approaches the 1st of August of Chinese calendar every year, hundreds and thousands pilgrims go to Heng Mountain for worshiping their God, which is quite impressive during my childhood memories. 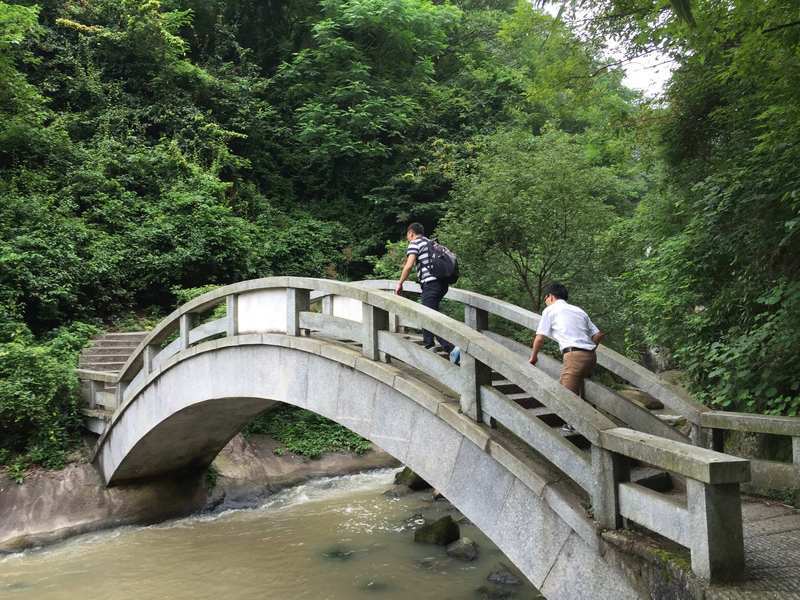 It is so lucky I had the chance to visit this famous place by the accompany and help of my friends who work at Hunan University. Visiting this holy place has been my dream for quite long time. Now my dream comes true. 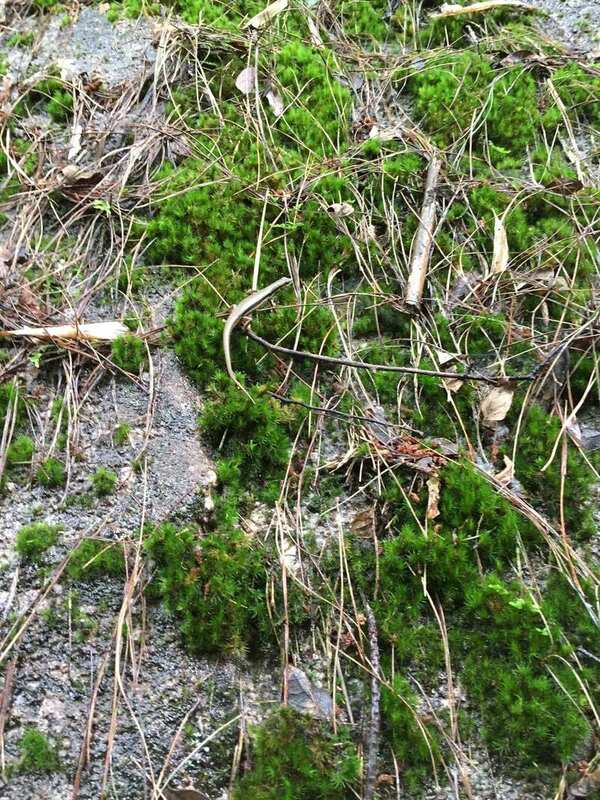 The following pictures are what I shot when I was travelling at Heng Mountain. I will be adding extra texts explaining this fantastic travelling, helping me recall it in the future. It is summer, a rain season. We can see waterfalls nearly everywhere. An unknown snake with four legs (maybe it is gecko)? 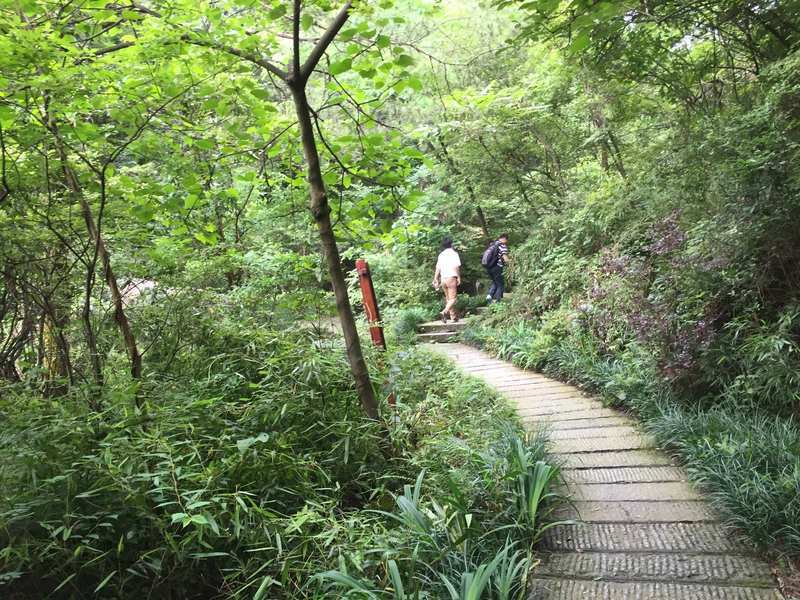 I have seen them when I was a child in Hunan, now I see them again at Heng Mountain. We hike the mountain. It is a well developed place of interest. There was few tourists. The path to the summit is a bit dark and very quiet. A nature cave, with the pavement go through it. 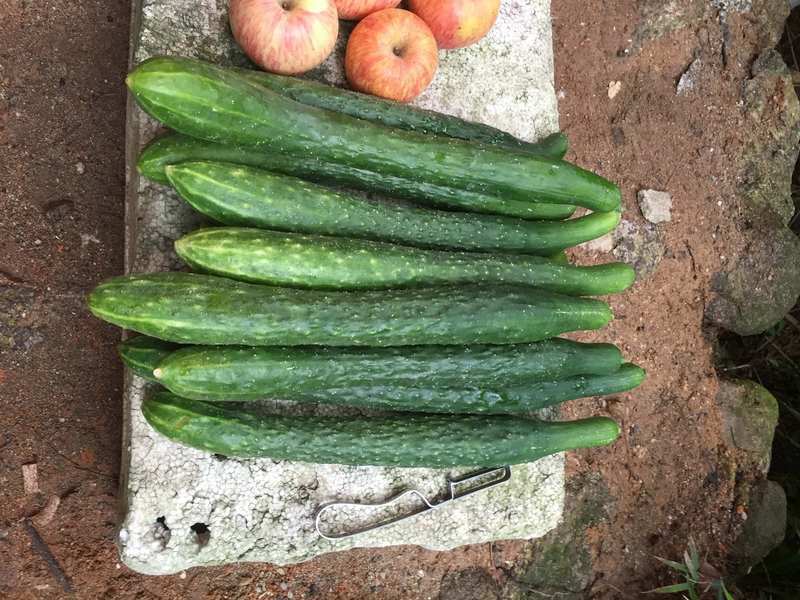 Why is cucumber so popular in China’s places of interest? We are tired, have a rest. 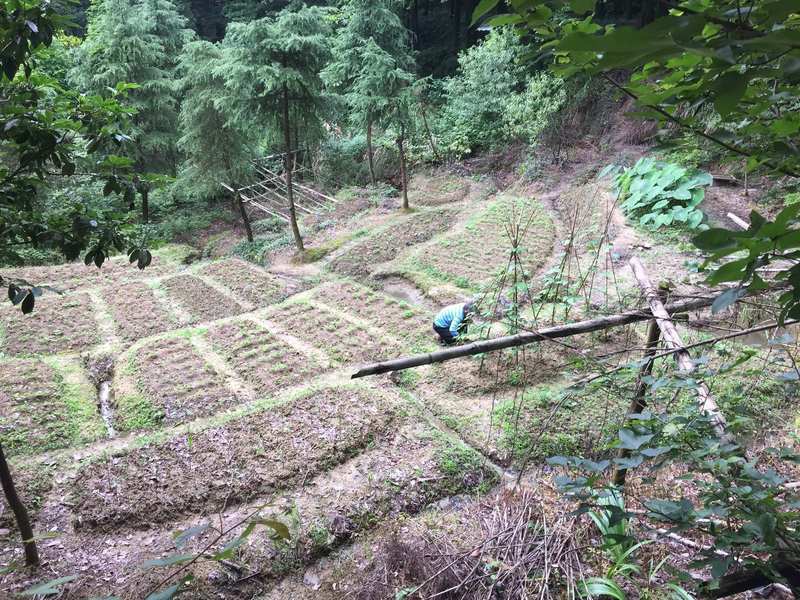 A veg garden at the middle height of the mountain. 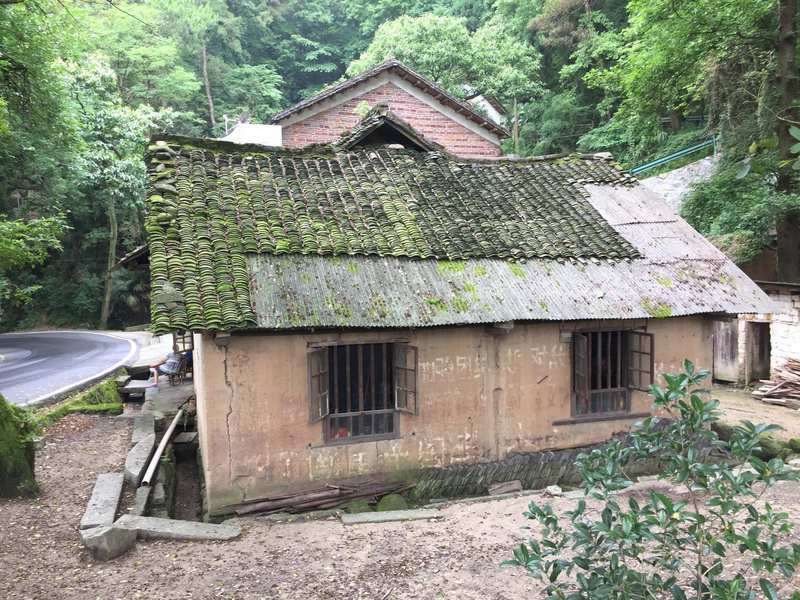 A traditional style local house at the middle height of the mountain, which is also very common in my Hunan hometown. 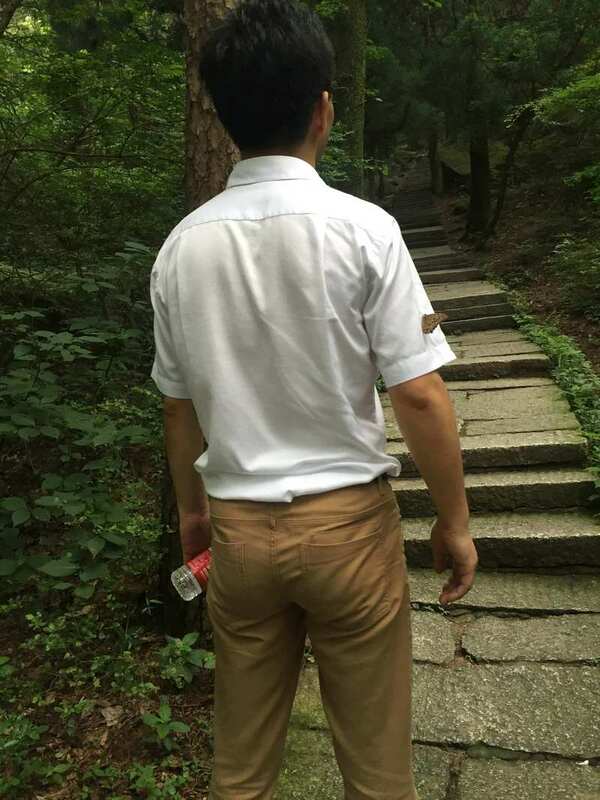 A beautiful butterfly stayed on the back of Dr Wang. 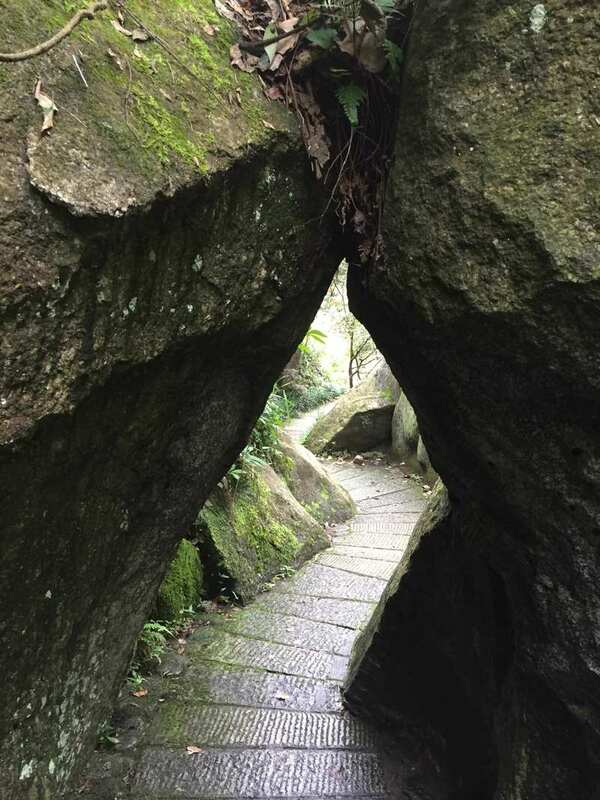 The little path on the huge rock, looks dangerous, is not it? Fast food at the middle height of the mountain. 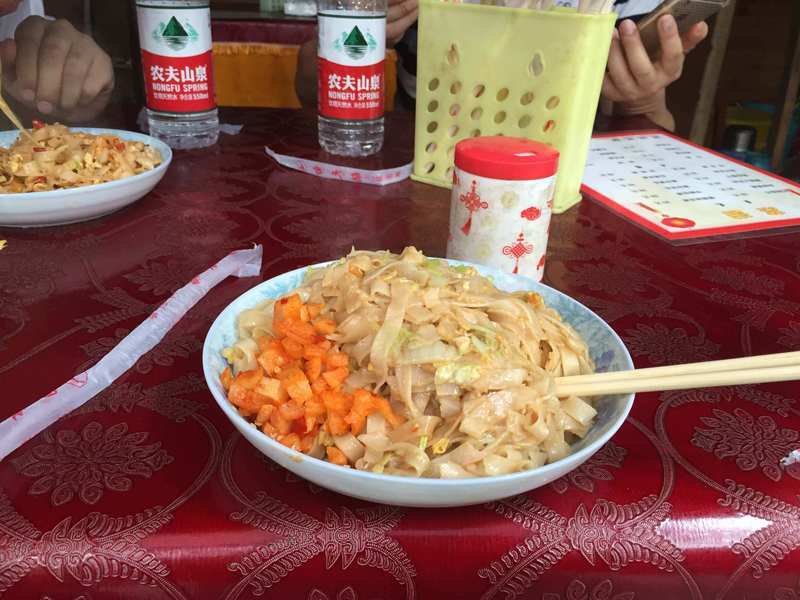 This rice noodle costs only 15 CNY. Very delitious, I like it. The chef and boss of the restaurant has a same family name Tan, shoud he give me some discount? He did not. Trees grown over hundreds years? There must be a teacher among three people? 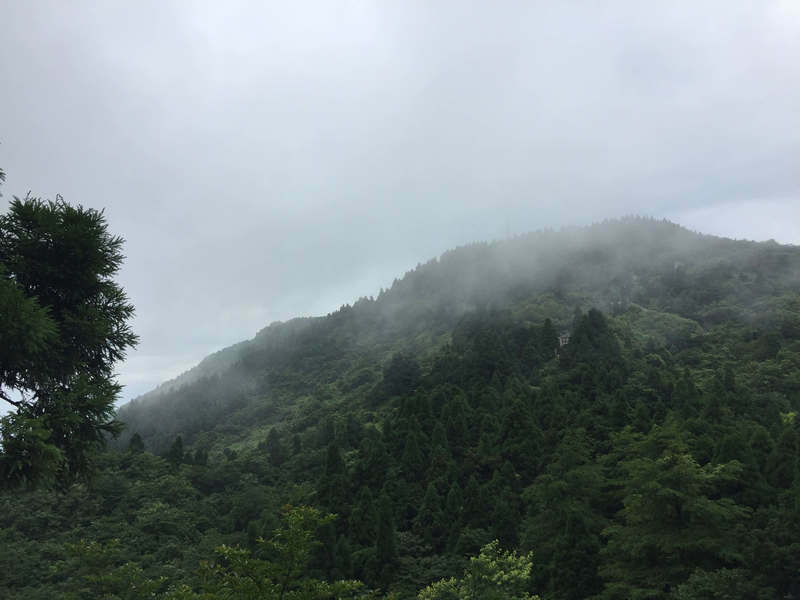 The picture was taken by two lovely girls of the 90s who we met on the hiking uphill. Feels like in the cloud? The aforementioned two girls we met on the hiking. We talked, we laughed, and we did not feel tired and boring anymore. True, the inner spiritual world of we old boys may be also boring? There were quite few tourists today. 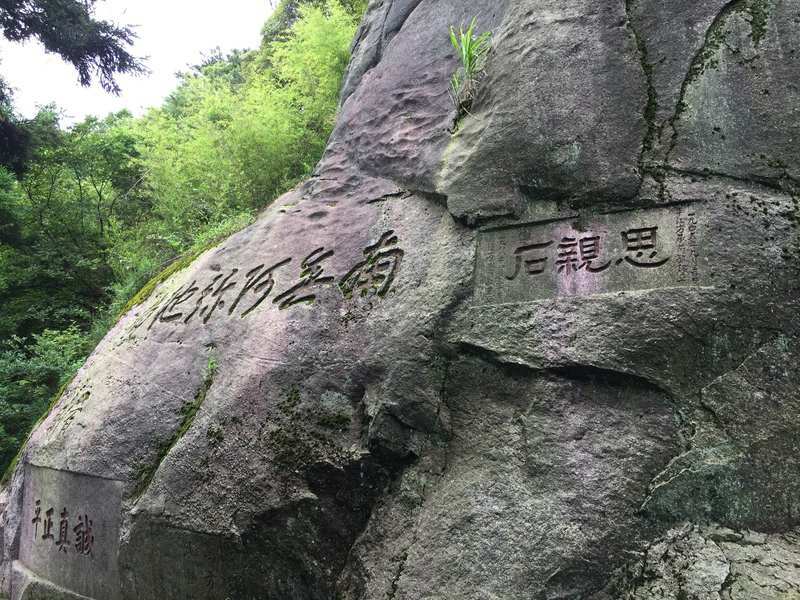 Dr Ou said that he had never successfully taken picture of the “Shou Bi Nan Shan” stone (Live as long as the age of Nanshan Mountain) with no people in front of it, now he did it. Far-reach mountains when we were approaching the summit. A low profile monk was flying on the wall? Zhurong summit of Heng Mountain, around 1300 m high. Holy pilgrims, they are aiming at wealth and fortune, in my opinion. 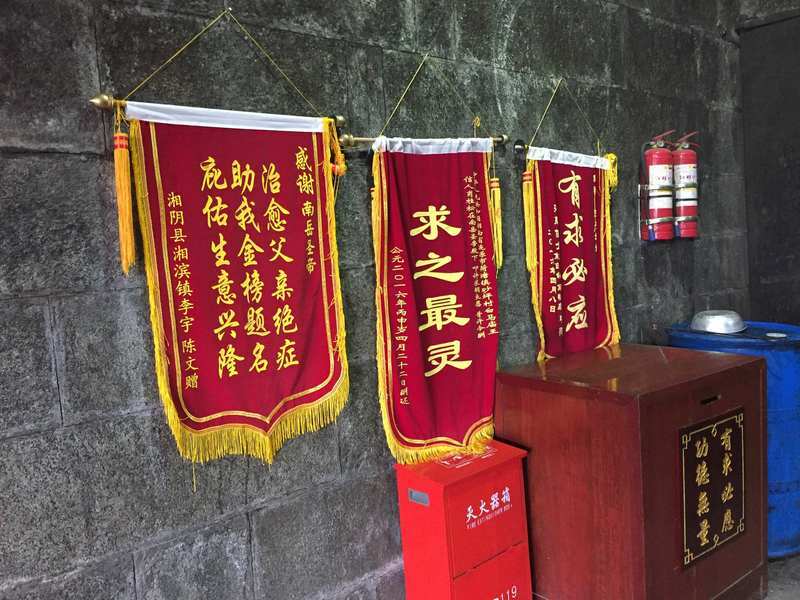 The entrance of Zhurong Temple, looks like very traditional and simple. Watching mountains by the side of Zhurong Temple. And watching the beautiful ladies? The monk was playing smartphone. Maybe he also feel boring? 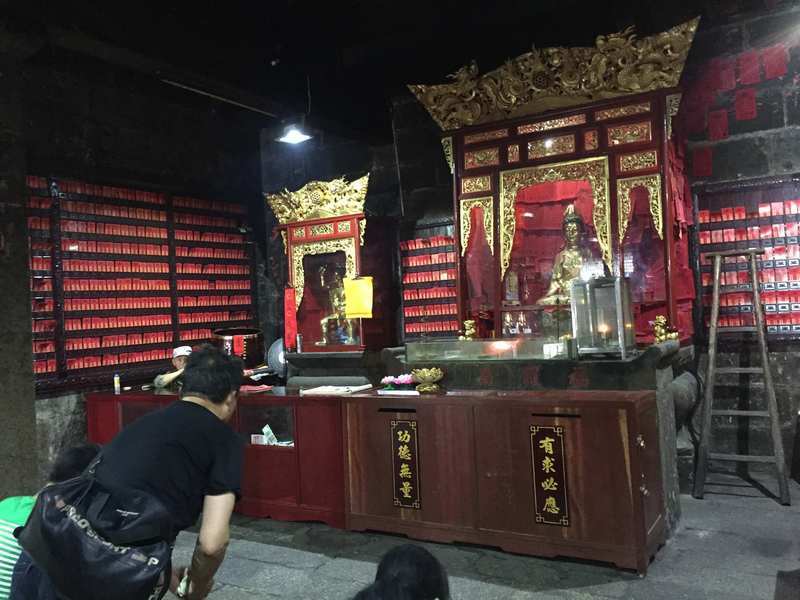 Guanyin Buddha, this is Buddhism related. 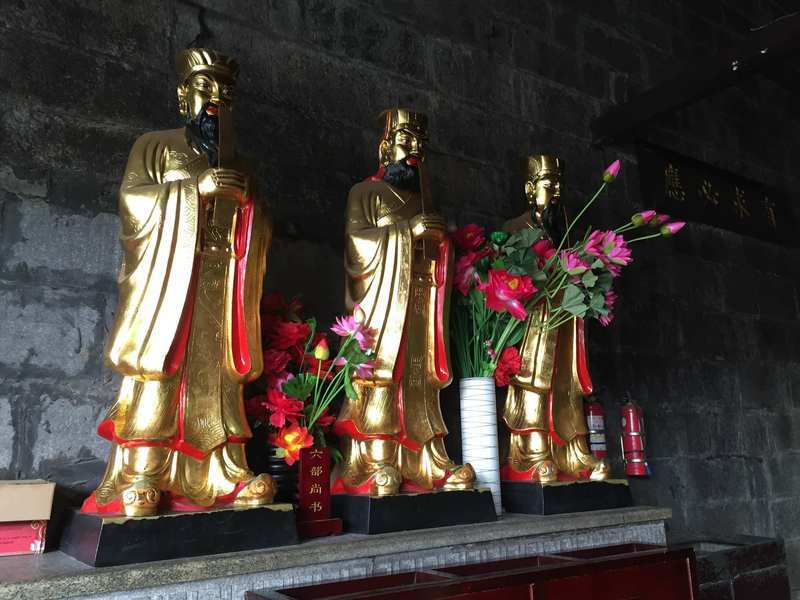 Great Holy Emperor of Nanyue Mountain, this is from Taoism, right? Liu Bu Shang Shu (Ministers of Six Ministries). The Master who is a fortune teller, but I did not get the poem of fortune. The two girls come from Hunan Women’s University. Is it exiting to meet us? Yes, it is true, they told us later. Cliff engravings left by Famous and writers and poets. The mountain has no end. If you would like to pay, you can even hire a sedan, just like this lady, relaxing. So what you need to do is bringing your money when you are touring in China, money is everything. 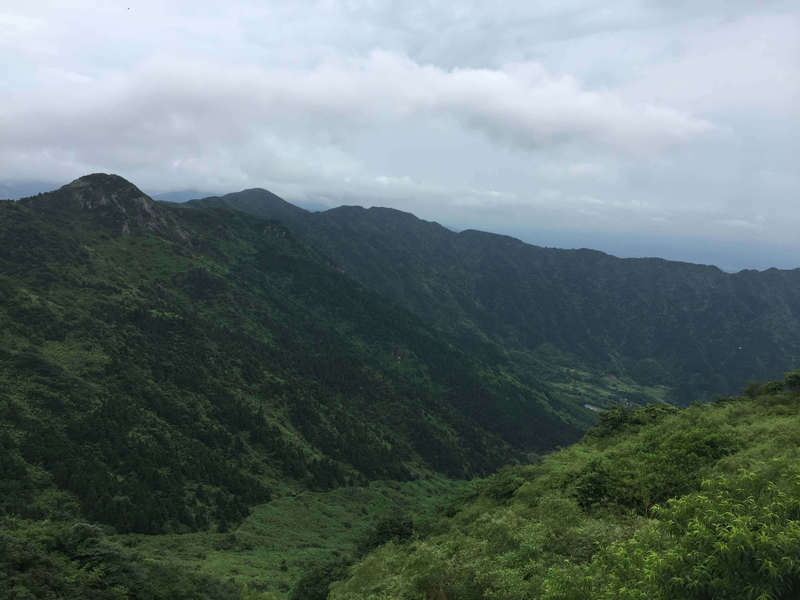 I did not forget to run at Heng Mountain, even just a short distance, showing I am running everywhere. Looking at the Zhurong Temple from a distance when we were hiking down the mountain. 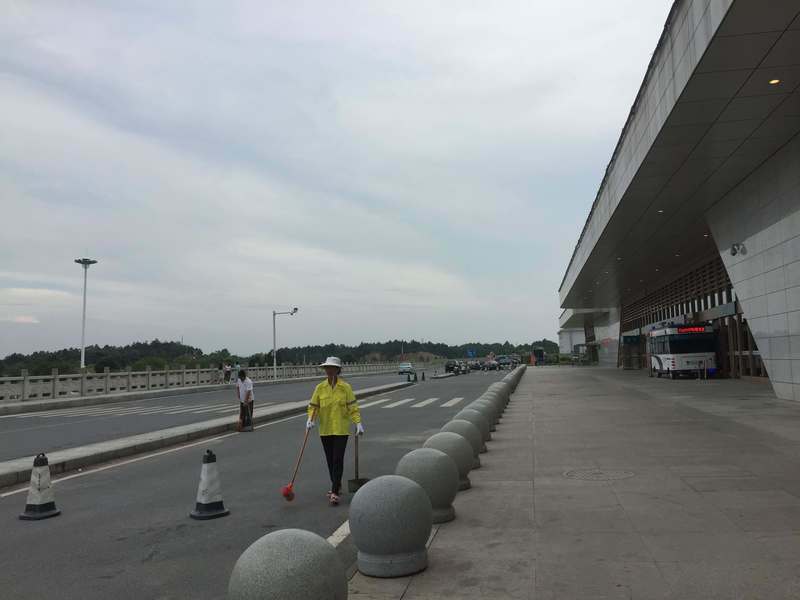 Hengshan railway station looks huge and marvelous, it is looks empty since there is not so many tourists and travelers.